The FH-7200 & FH-7400 is a portable thickness measuring device that offers the capability to precisely measure materials up to 10 mm thick. 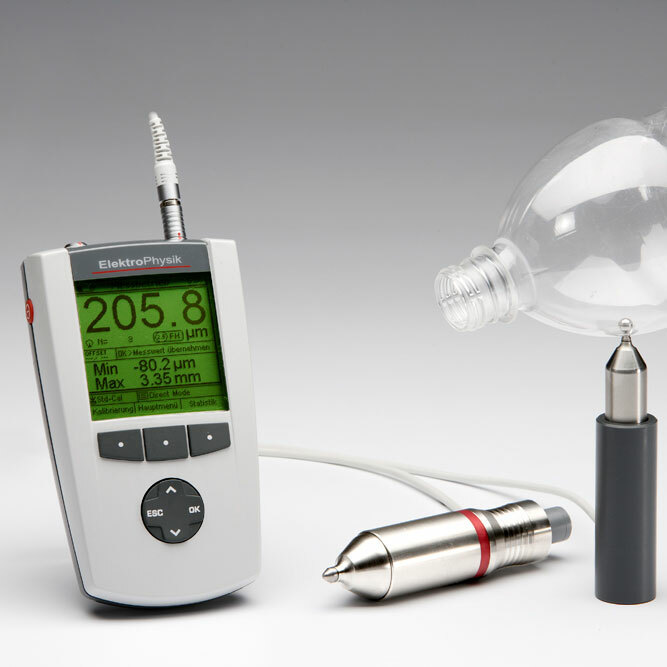 The small size and portability of the device enables it to be operated in production areas and quality laboratories. 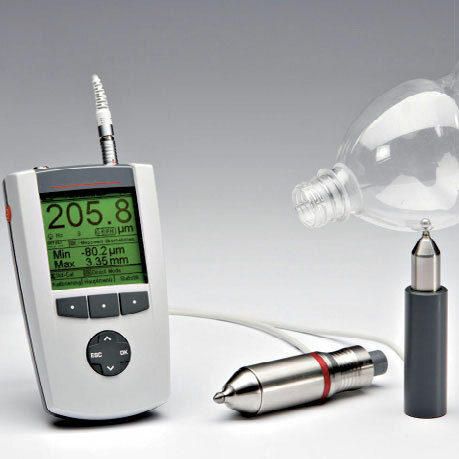 The FH Series provides easy, non-destructive and highly accurate thickness measurement on all types of non-ferrous products, regardless of their size, shape, and material. It is ideal for applications where accurate measurement of sharp corners, small radii and/or complex shapes are required. 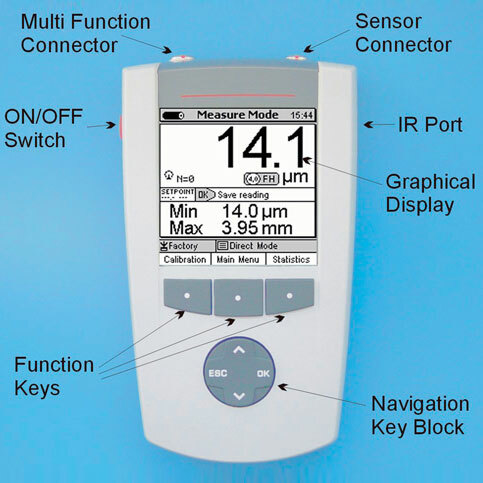 Model FH-7200 offers measurement capabilities including real-time thickness measurement, display of minimum and maximum readings, an offset mode, and automatic storage of up to 100,000 values. Model FH-7400 offers the same capabilities as the MiniTest 7200 FH plus statistical graphing, real time trend, data base with up to 200 batches and increased automatic storage of up to 240,000 values. e.g. 1200 per batch. 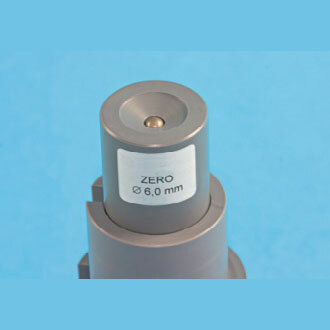 In order to maximize the accuracy of readings, five (5) easily interchangeable probes with a hardened probe tip and a variety of ball sizes are available to cover thickness ranges from 0 - 6mm up to 0 - 24. 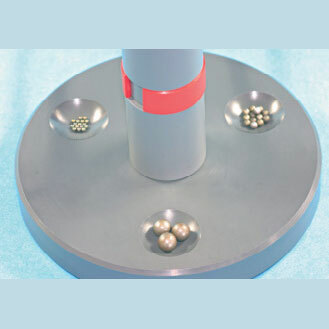 Refer to table below for detailed description of the various measuring ranges, ball diameters and ball type (non-magnetic and magnetic). 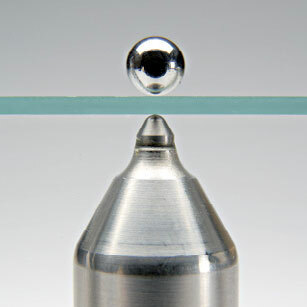 Use of magnetic balls allow for measurement of thicker materials as both the probe and the ball have their own individual magnetic attraction properties. 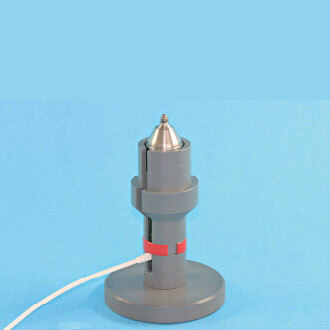 FH4-1MM is a special probe designed to be used with 1mm diameter balls (and larger) to measure in extremely small cocave areas, gaps and recesses. 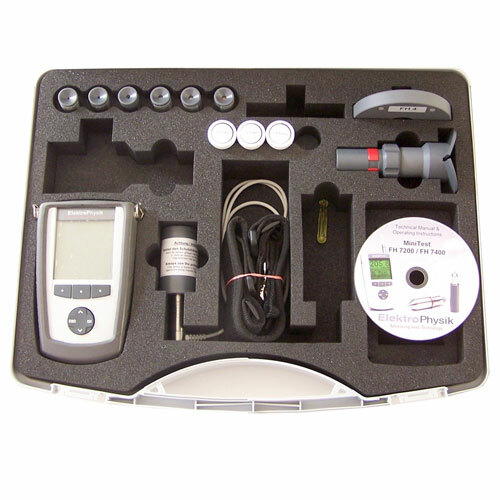 The FH7200 and FH7400 Gauges are supplied as a kit including, Gauge, Multi-language Operating Instructions, four (4) AA batteries, Protective Rubber Shell with stand and belt clip, Magnetic Screw Driver and MSoft7 Pro Software on USB stick all supplied in a foam-fitted hard plastic carrying case. 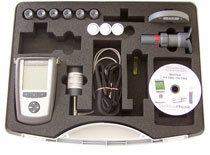 Probes are required for measuring and are sold separately. 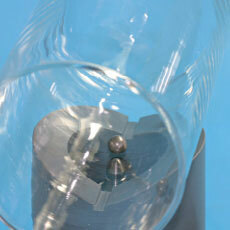 The following accessories will be supplied based on the Probe Type purchased.